Food & Beverage - Environmental Quality Management, Inc.
EQM has more than 20 years of experience working with all aspects of the food, flavorings, and beverage/spirits industry. Since our inception, we have been providing a full range of environmental consulting and process engineering services to the industry at facilities throughout the US, Canada, and the US Virgin Islands. Our breadth of experience and well-respected track record has brought some of the biggest names in the business to us and enabled us to provide solid solutions not only to those big name customers but also our smaller scale clients. 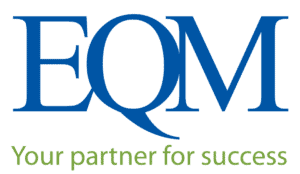 EQM personnel have supported this company since 1994. We have completed nearly 100 projects at 22 current and former facilities in Ohio, Kentucky, Tennessee, California, U.S. Virgin Islands, and Ontario, Canada. Facility types include distilleries, cooperage houses, saw mills, wineries, and vineyard operations. EQM has performed multimedia environmental compliance audits at all the facilities (both baseline and review audits), development of environmental compliance binders, air permitting, air emission inventories, SARA evaluations, stormwater pollution prevention plan development, SPCC Plan preparation and PE certification, groundwater protection plan development, training related to Clean Water Act programs and EPCRA, industrial hygiene exposure monitoring, process safety management, and on-site environmental support at corporate headquarters. Contracted with a confidential vegetable oil manufacturing client in Ohio to evaluate cost reduction opportunities for process wastewater discharge and pending stormwater discharge costs to the local publicly owned treatment works (POTW). Evaluated several stormwater management and engineered control options as well as process wastewater treatment options for continued discharge to the local POTW with significantly reduced surcharges as well as options for direct discharge to a receiving stream and discussed these options and costs with the client. Prior to selection of the final approach, Interfaced with the state regulators to determine the feasibility of obtaining an NPDES permit for treated stormwater discharge and treated process wastewater discharge. Following these discussions, the client contracted EQM with the detailed design of the selected stormwater and process wastewater treatment systems for direct discharge into a receiving stream. This $8 million high-profile construction project had the interest of manufacturers in the area who were focused on its performance. The project successfully assisted the local municipality with dealing with the Combined Sewer Overflow problems by eliminating more than 1 million gallons of wastewater per day.